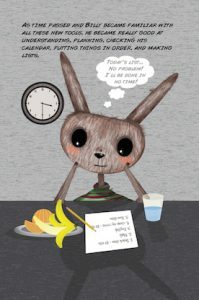 You are here: Home › ADHD › Children › Recommended Books › ADHD Resources for Parents and Children: Billy Can’t Slow Down! 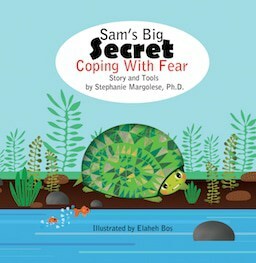 As a child psychologist, I have met many children who are struggling in school, at home, and with their peers because of their challenging behaviours, like the ones described above. Parents and teachers alike are sometimes at a loss as to how to help their child or students address these behaviours. Plus, ADHD resources for parents may seem hard to find. And importantly, many of these children who suffer from ADHD do not understand why they are having such a hard time or why they are constantly getting into trouble. It was with these particular children (and their parents) in mind that we wrote our newest collaboration and therapeutic resource for children. 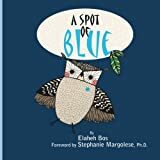 I teamed up again with the talented author and illustrator, Elaheh Bos, and together we co-wrote this book to help children and their parents understand what is Attention Deficit Hyperactivity Disorder and the different approaches and strategies to treating this problem. Billy the rabbit is great at playing video games and soccer but struggles to pay attention and sit still in class. He is always getting into trouble with his peers, teachers, and parents for one reason or another, even though he doesn’t mean to. After his teacher suggests he sees his paediatrician and a child psychologist to get tested, Billy learns he has Attention Deficit Hyperactivity Disorder (ADHD) and that it is NOT his fault that he is inattentive, hyperactive, and impulsive. 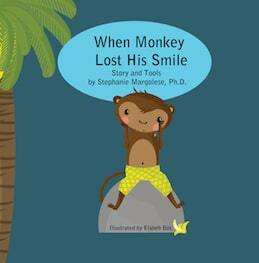 He comes to understand that his brain is wired differently. Through the help and support of his doctors, parents, and teachers, he learns new ways and tools to get organized, to spend his excessive energy, problem-solve, and generally manage his difficulties at home and at school. 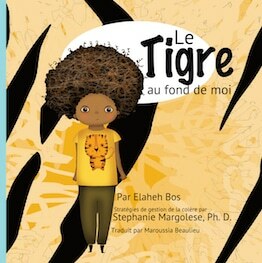 This book is recommended as a resource for children (ages 6 and up), parents, teachers, and students. Children with ADHD will relate to Billy and his story and may feel empowered with strategies as to how they can cope with their problems. Moreover, adults will benefit from reading this book in order to gain a better understanding of ADHD, how it is diagnosed, and what are different treatment options. When your child is exhibiting inattentive and/or hyperactive and impulsive behaviours and he is suffering at school, with his peers, and at home, it can be difficult to know what to do and how to help. That is where we hope this book offers you some answers. Billy Can’t Slow Down! 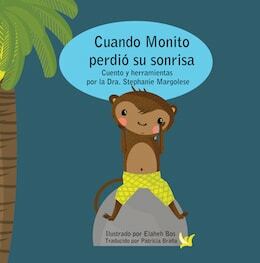 is more than just a story. This book offers definitions, detailed explanations about ADHD, helps you understand what is involved in psychological testing, and importantly, highlights different approaches and treatments for managing ADHD. 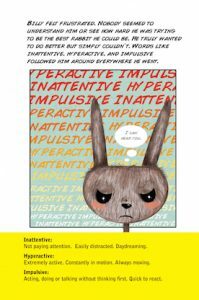 This book also provides a summary section of strategies to manage inattention and hyperactivity/ impulsivity both at school and at home. 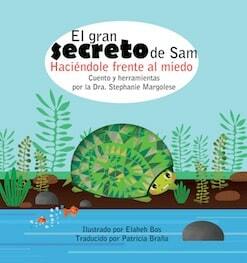 As book bonuses, you can download a free ADHD resource for parents entitled, “Billy Can’t Slow Down! Step-by-Step Guide for Parents” from my website as well as free printable pages from www.plantlovegrow.com/billy. 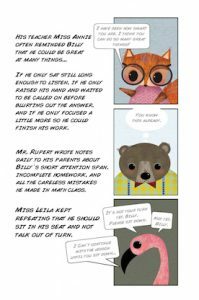 If you are a parent, grandparent, teacher, therapist, school counsellor, graduate student, or librarian and you are interested in learning more about this new ADHD resource for parents and children aged 6 and up, please check out Billy Can’t Slow Down! 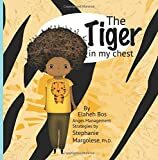 I would like to take this opportunity to thank Elaheh Bos for inviting me to share in this project and co-write this book. I also want to give a very special thanks to my AMAZING husband, Gaby, for his continuous encouragement, love, and support! 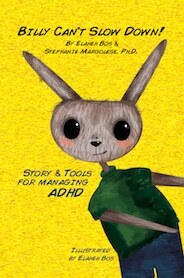 I am really excited to know what you think of our ADHD resource for parents and children. I welcome your feedback, questions, and comments.